We are happy to receive/ship your product complying with your specific instructions. We will store your inventory with your requirements in mind, whether for long storage or JIT shipments. Maintaining inventory, your documents, bar-coding and labeling are at your disposal. We also offer reverse logistics and contract warehousing. Here at Three Rivers Warehousing, we have many services that we offer that help to save our customers both time and money. Ask us how we can help with all of your warehousing needs today! Our facility is setup to handle any of your inbound/outbound cross-dock operational shipping needs. We have approximately 140,000 sq. ft. of dry, secure and environmentally controlled warehousing space available. We can provide complete shipping solutions from simple in-town services, coast to coast shipping and global shipping. We can provide package labeling services as well as bulk product shrink wrapping in preparation of storage or shipping. We are able to provide project management services for your company where you utilize our facility for the final assembly, packing, labeling, storing and shipping of your product goods. We are fully ready to provide public contract warehousing for various projects and situations that require short and long term storage. 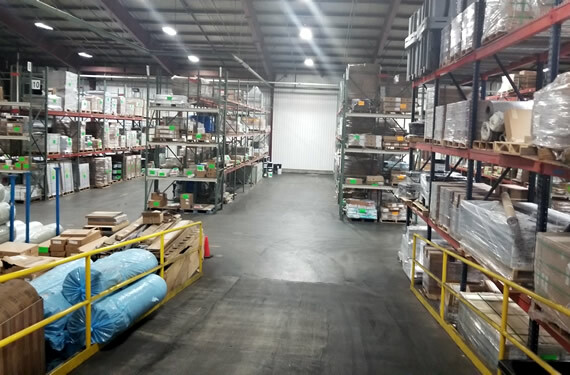 We are confident that our team can provide the best warehousing options available to you each and every day. Your requirements are our requirements. We will do our best to provide you with the top notch service you deserve. We want your business, and will do all we can to provide exceptional warehousing services. We are proud of our proven track record of superior customer service. When you call, we answer. We understand every client's needs are different. We will work with you to understand those needs and develop pricing that best fits and remain truly competitive; never sacrificing service. Centrally located in downtown Fort Wayne. Easy access from all major highways. Your freight is protected by our monitored card entry security system, fire protection system, well lit warehouse and parking lots. You can count on us. Our team members are trustworthy and willing to work.